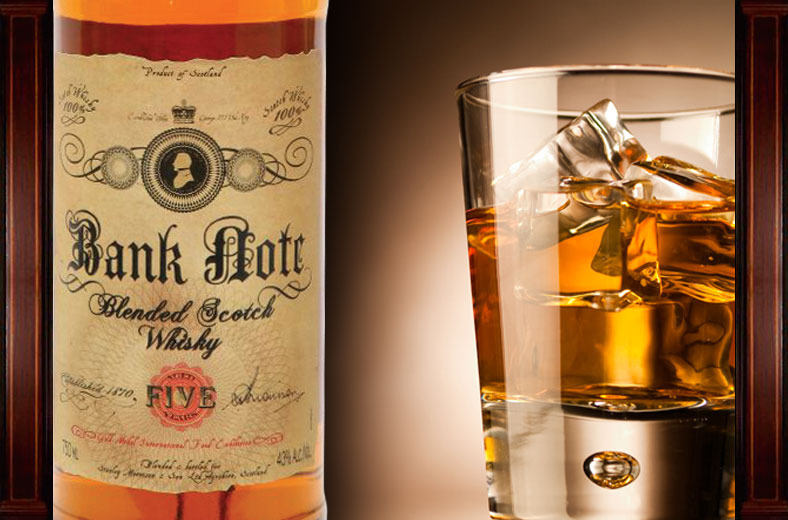 Bank Note is a premium 5yo Scotch Whisky offering the perfect mix of the finest malt whiskies (40%) from the Speyside and Highland regions, blended expertly together with the purest grain whisky (60%( from the Lowlands of Scotland. Slowly matured in oak casks to produce a mellow taste with sweet richness and good depth of flavor, tis appeal is timeless and, like other classic whiskies, is as relevant today as it was over one hundred and fifty years ago. Bottled at 43% ABC it is presented in distinctive packaging designed to reflect the original branding from one hundred and fifty years ago. Bank Note Peated Reserve incorporates a small proportion of Islay peated malt into the unique blend of pure Lowland Grain, sweet Speyside, and robust Highland malts, without disturbing the balance. A minimum of 5 years in American Oak ensures this singular expression encapsulates the very best that blended scotch whisky has to offer, with fruit, spice, and a distant smoke, all perfect in harmony.